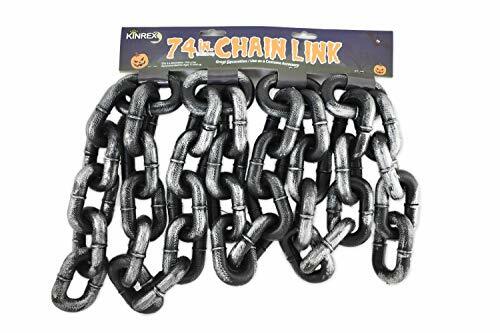 Complete your jailbird costume with these novelty Jumbo Shackles. For more than 30 years, Forum Novelties has been a leader in the costume industry, as well as the joke, trick, magic and novelty gift item business. Forum offers over 8,000 items to choose from, ranging from baby costumes, to adult and plus-size costumes, to pet costumes. Look to Forum Novelties for all of your Halloween, luau, Christmas, Mardi Gras and St. Patrick's day supplies. From funny to frightening, Forum has it all!. 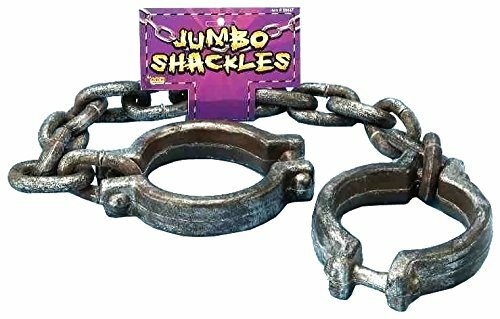 These wrist shackles are a great addition to any prisoner costume for adults and kids! they are just right for convincing the rest of society that you ought to be behind bars! Dress up your ghoslty goblin or robber costume with these fun wrist shackles. Great for Halloween, themed parties, movie props and school plays. 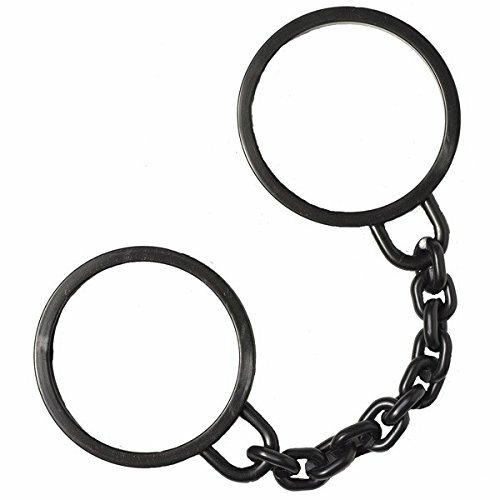 These adult prisoner 21" ball & chain shackle's are a great finishing touch for classic prisoner's or criminals, and can be used with different themes like weddings, partnerships, and more! These are a great costume accessory, but please realize they are just that and NOT real. Great on their own, even better with the other costumes and accessories in our store for the whole family! 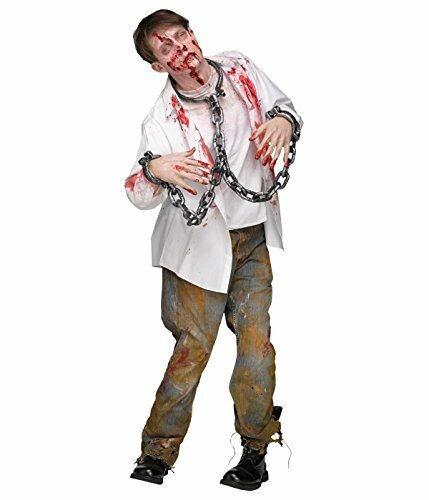 The Hand and Leg Shackles Halloween Accessory will add a finishing touch to your costume. You can use it to accent a prisoner ensemble or for other types of garb. The shackles are lightweight and made of plastic, making them comfortable to wear. This costume accessory features a metallic finish. One size will fit most adults. The Wrist Shackles Adult Halloween Accessory easily slips over the wrist, letting you take on the appearance of a prisoner or other captive. Made of plastic, the shackles are detailed for a realistic appearance. They are available in one size that fits most adult wearers. 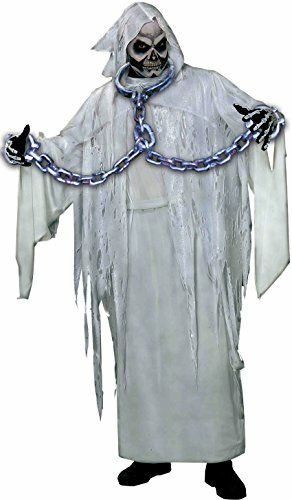 The shackles can be worn by themselves or with other Halloween costume accessories for a complete prisoner look. 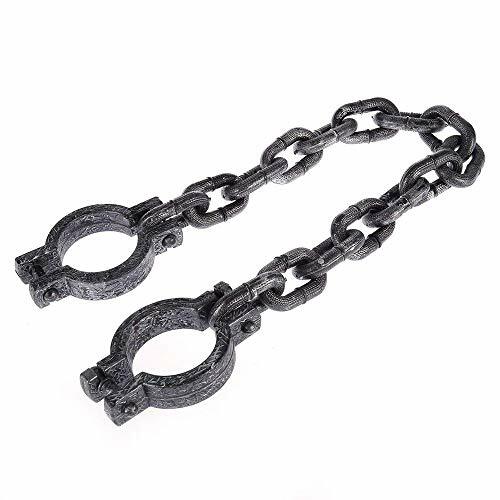 These adult prisoner 65" body shackle's are a great finishing touch for classic criminals, or can be used with 100s of different themes from celebrities (Paris Hilton, Lindsay Lohan, Martha Stewart) to Houdini, Robin Hood, or even more racey adult themes! These are a great costume accessory, but they are just that. Great on their own, even better with the other costumes and accessories in our store for the whole family! So realistic. This plastic prop makes a great way to really add some danger and menace to your prisoner Halloween costume. 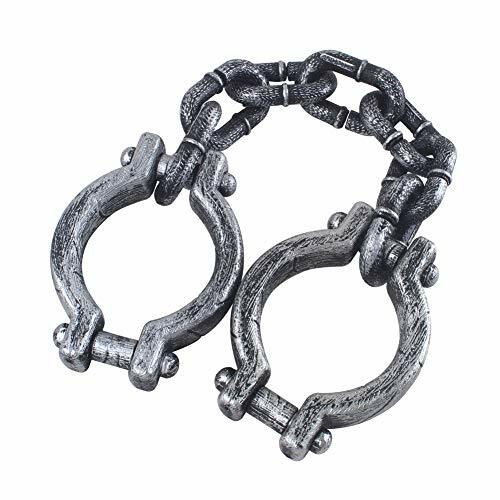 These lightweight hand and leg shackles feature a realistic metallic look that are sure to fool on-lookers. Special Shipping Information: This item ships separately from other items in your order. Nailed it! Watch the Pinterest team bring some of our favorite Pins to life. Get creative on Pinterest. For more: pin.it/pinstudio.